Whatever you play or bet money on, everybody wants to win. You can’t quite help but feel as though your next bet will land you the big win. But whilst many people assume that the aforementioned big win will be the result of winning the Euro Millions, or the National Lottery; there are other alternatives. 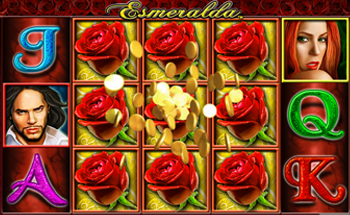 For instance, did you know that with online slots, you can often win multi-million pound prizes? 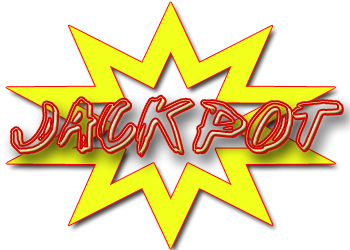 Known as progressive jackpot slots, these online slots offer some of the largest jackpot wins on the net. Oh, there are many different kinds of progressive jackpot slots, and they come with plenty of alternative jackpot sizes, and even ways to win – this is true. However, if you have a quick look at our online slot reviews, you’ll soon be able to identify which online slots may hold the key to winning the next big jackpot, and which ones don’t. More importantly, with our online slot reviews, you’ll also be able to find slots which match your needs, requirements and tastes. If you still don’t believe us, why don’t you start Googling some of these famous big winners from the online slots scene? To date, the biggest ever win for an online slots player was an anonymous winner, playing at PAF Casino. Well, you would stay anonymous, wouldn’t you? He hails from Mariehamn, Finland, and on January 20th, 2013, he scooped €17,861,813 on Net Entertainment’s Mega Fortune jackpot slot. Winning at the age of 47, you can imagine that his jackpot win was quite the early retirement gift! The online casino world is littered with similar stories of success. In May 2009, Giorgios M, pocketed an amazing $8.48m playing Microgaming’s number one progressive jackpot slot, Mega Moolah. The best part is, his wager only set him back $6 in total. Another man, known as Obaesso, scooped $8m playing the Millionaire’s Club in 2007. He even got to have his picture taken with model, Sophie Anderton. Australians aren’t short of luck, either. This time, Mega Moolah was the culprit again, offering Klaus E a total win of $5.5m. Are you convinced yet? In October last year, one Swedish player scooped €7.4m on the Hall of Gods slot, which is designed and developed by Net Ent. Microgaming’s The Dark Knight and Playtech’s Marvel Progressive Jackpot online slots have also paid out millions in their time. The list goes on. It could just as well be you who picks up the next big online slot win. Now that we have your attention, there is something you should know. Before you settle down to play big money online slots, you will need to locate a place to play. Our handy online slot reviews will tell you all about the best online slots, and the places that offer them. However, if you already have a special slot in mind, which wish to play, why not check out these online casinos? Each of the casinos we list carry top quality games, and yes; they all carry big progressive jackpot slots, too. For starters, you should try Guts Casino. Guts launched in 2010 and offers more slot games than virtually any other casino. You can find Net Ent, Microgaming, BetSoft, ELK, IGT, Genesis Gaming and OMI Gaming slots at their website. Some of their most popular titles include Game of Thrones, Jurassic Park, Immortal Romance, Thunderstruck II, the aforementioned Mega Moolah slot, Aliens and more. Over at Sky Vegas, they have some very different kinds of online slots for you to play. Sky Vegas should be familiar to you, since they are run by the Sky broadcasting company. They offer both mobile and online casino gaming, with titles from Barcrest, Blueprint, Net Entertainment and more available. Open since 2007, Sky Vegas Casino is ideal place to find such games as the Prowling Panther, Twin Spin, Fortunes of Sparta, Genie Jackpots and Bubble Craze online slots. BETAT Casino is another gem. Launched in 2011, this casino has some of the very best and most popular online slots to offer you. Microgaming, Net Entertainment, Genesis, NextGen and Leander Games can all be played there. Their impressive array of online slots include Avalon II, Big Bad Wolf, Max Damage, South Park and South Park: Reel Chaos, amongst others. You can also play your favourite online slots at BGO Casino. They, too, carry Net Entertainment’s and Microgaming’s biggest progressive jackpot online slots. BGO Casino has been delivering quality games such as Starburst, Gonzo’s Quest, Da Vinci Diamonds, Pixies of the Forest and Monopoly, since 2012. For more awesome online casinos offering you nothing but the finest big money games, check out our online slot reviews section. Gambling will cost you money, nobody is denying that. Fortunately, the online casino world has come up with a way (actually, several) to help keep you in the green. These are what really separate online casinos from land-based casinos. They are slot bonuses. Slot bonuses come in many forms. Generally, most online casinos will offer you some kind of welcome bonus, when you sign up at their casino and make your very first deposit as a new player. Often this bonus comes in the form of a match bonus. Basically, this means that whatever you decide to deposit, the casino will offer you a percentage of that back again as a bonus. When they aren’t offering welcome bonuses and redeposit bonuses, online casinos have other great promotions and bonuses up their sleeves. Free spin deals are always welcome, as they allow you to play your favourite slots free of charge, and still win real money. Moreover, most of the major online casinos also carry online slot tournaments. With these, you can play your favourite online slots just like you would normally do, except that your results will be pinged into a tournament ladder. If you finish towards the top (especially on top) of the ladder, you can pocket prizes for your efforts. As well as those deals, many online casinos also run regular daily, weekly and/or monthly promotions, which can range from anything to everything. Our online slot reviews will keep you abreast of all the latest offers related to the slots which you love to play. With so many online slots available, you have a lot to choose from when seeking your big win. Several online slot developers stand out above the rest, and we’ll take a quick look at some of them now. When you decide to play with Microgaming, you can expect a top quality online casino gaming experience. Many of their slots contain 243 paylines, and most are equipped with an array of special features. By and large, their progressive jackpots are often randomly triggered. They also contain some of the best themes, due to them spending money to secure lucrative licenses with top, popular franchises. Playtech develop their slots in much the same vein. They are famous for their Marvel themed progressive jackpot slots, which offer four progressive jackpots per game, and run on a network. These are also randomly triggered, though they aren’t worth as much as Microgaming’s. The reason that Playtech are number two, and not number one is that they don’t create new slots as often as their competitors. Net Entertainment create visually stunning games. They are also responsible for the biggest paying progressive jackpot online slots. Net Ent’s games often feature less than 20 paylines, but can be played cheaply. Most of their games are quite similar in structure and gameplay, although they do have some exceptional, original titles. Barcrest are one of the larger developers, but they develop smaller scale online slots. They have a lot in common with WMS and IGT, in that they develop land-based slots and turn them into online slot games. If you’ve played a slot in a brick and mortar casino before, then you’ll probably find it at online casinos offering these developers’ games. Then we have RTG, Cryptologic and NextGen. These aren’t the best looking slots, as the graphics are pretty shady. However, they are cheap, and offer a huge selection of themes for you to enjoy. If you want the best graphics in the business, then you should be playing BetSoft Gaming’s titles. The majority of BetSoft’s titles are designed using stunning 3D graphics. Finally, some of the smaller developers are the newest ones. Companies like Blueprint Gaming, and Yggdrasil are on the rise. They develop quality online slots, although their progressive jackpots haven’t quite reached the stage where they can compete with the others. These companies have a bright future ahead of them, though. Now, you know where to play slots, which developers produce what, and you have heard tales about what you can win when playing online slots. 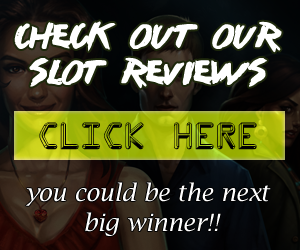 All you need to do now, is read our online slot reviews to find your dream slot, and it could be you who pockets the next big win. Good luck!